Can you believe it? A Sony flagship phone is coming to two different US carriers around the same time and well before that phone is too old for anyone to care about it. The Sony Xperia Z3 is officially coming to T-Mobile on October 29 for as little as $0 down and $26.25 monthly payments. If you know that the Xperia Z3 is the phone for you, feel free to pre-order on October 15. As a recap, the Sony Xperia Z3 sports a 5.2-inch 1080p display, 3GB RAM, 2.5GHz Snapdragon 801 processor, 3,100mAh battery that is industry leading, 20.7MP camera, hi-res audio and digital noise canceling, water resistance, and support for T-Mobile’s 4G LTE network. This phone, by all means, is a top flagship for 2014, especially if you are looking for a battery champion. Interested? If not, the smaller-yet-still-as-awesome Xperia Z3 Compact is available today as an unlocked phone. Eager customers that just can’t wait until launch to secure their device can take advantage of T-Mobile pre-saleonline, which will open starting October 15 at 12:00 a.m. PDT. 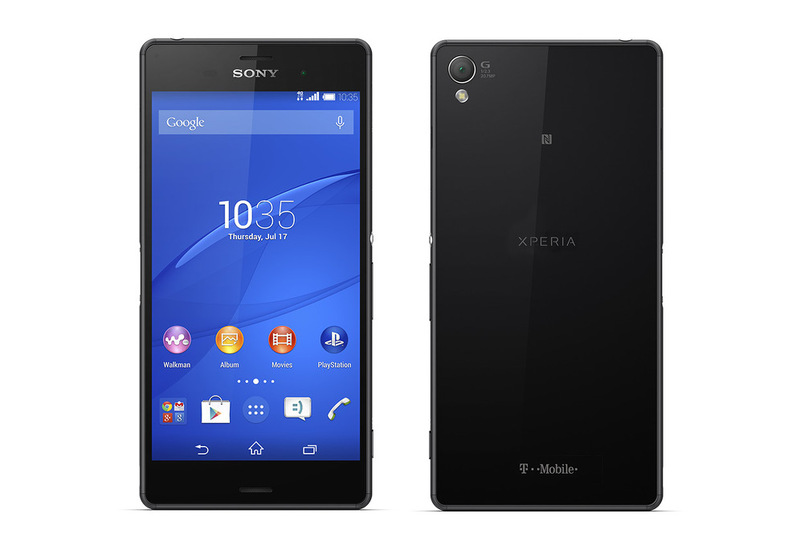 This means that customers will have their Xperia Z3 shipped to them—and could receive it—BEFORE the national launch. For more information, please visit https://explore.t-mobile.com/sony-xperia-z3. Device Pricing for Well-Qualified Customer: $0 down + $26.25/month x 24/mos. If you cancel wireless service remaining balance on phone becomes due. Total price $630.00. 0% APR; O.A.C. Taxes & fees addit’l. See T-Mobile.com for device and offer details. Waterproof in fresh water for up to 1.5 meters for 30 minutes. All ports must be firmly closed. Battery life based on multiple battery performance testings conducted between July and September 2014 in a laboratory under an active use conditions reflective of the Typical Smartphone User by Sony Mobile Communications AB. For more information go to: www.sonymobile.com/testresults. PS4™ Remote Play functionality available on Sony Xperia Z3 starting November 2014. PlayStation™4 System, DUALSHOCK® controller, Sony Entertainment Network account and high speed internet connection required. Some games may not support this feature.